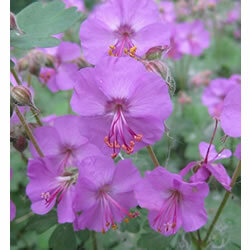 Cranesbill. 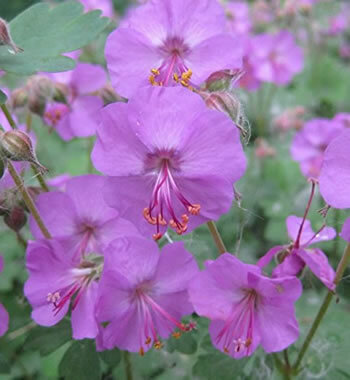 An evergreen geranium with aromatic shiny leaves and reddish purple flowers held well above the leaves. Max Height 15cm. Max Spread 20cm to 30cm. Flowers May to June. Full sun/partial shade. Hardy. Water thoroughly before planting.